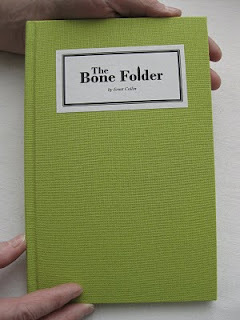 Very nice to see the Bone Folder being used in a workshop setting, this time in Nova Scotia on July 9 as part of Susan Mills' Full Tilt Single Session Bookbinding Classes.When I made this edition available as downloadable signatures it was my hope to see it being used this way. Glad to see it happening. If anyone else is using it in a similar way, or just binding it for themselves I'd love to see the outcomes so feel free to send me a picture or two.To download the signatures see the sidebar at left.Images below from Susan's site. 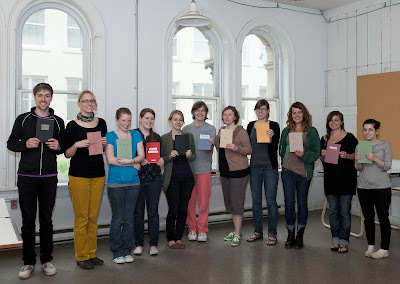 Class photo from Nova Scotia College of Art and Design University Summer Book Arts Workshop. 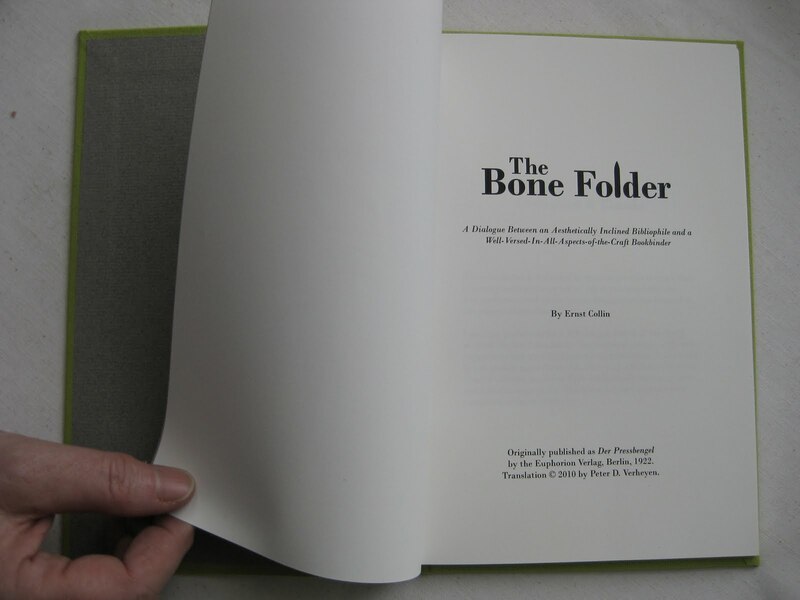 Susan Mills is a traditionally trained bookbinder in private practice since 1990. She is passionate about bookbinding education and has taught thousands of people to bind books in both institutional and alternative settings. 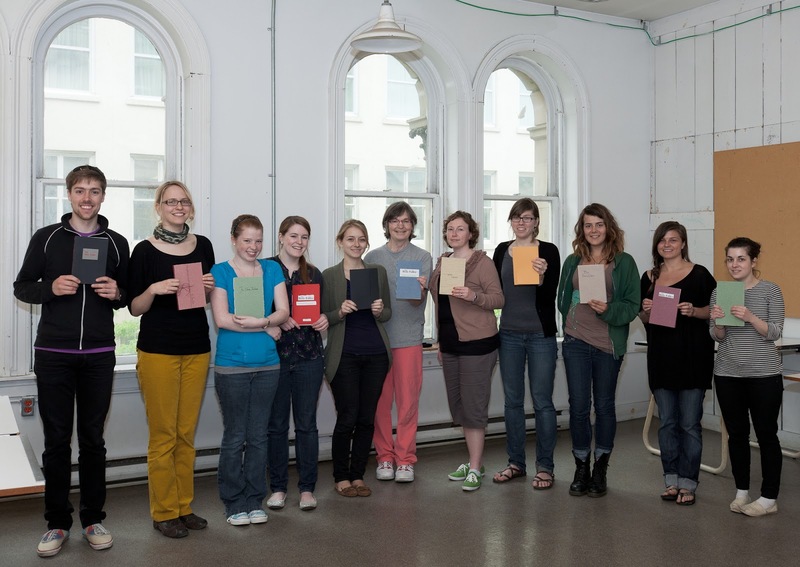 She is on the faculty of Nova Scotia College of Art and Design (NSCAD) University in Nova Scotia, is a 2011 visiting instructor at Pratt Institute, regularly teaches hand bookbinding at Cooper Union Continuing Education and serves on the board of the not-for-profit The Center for Book Arts, NYC. 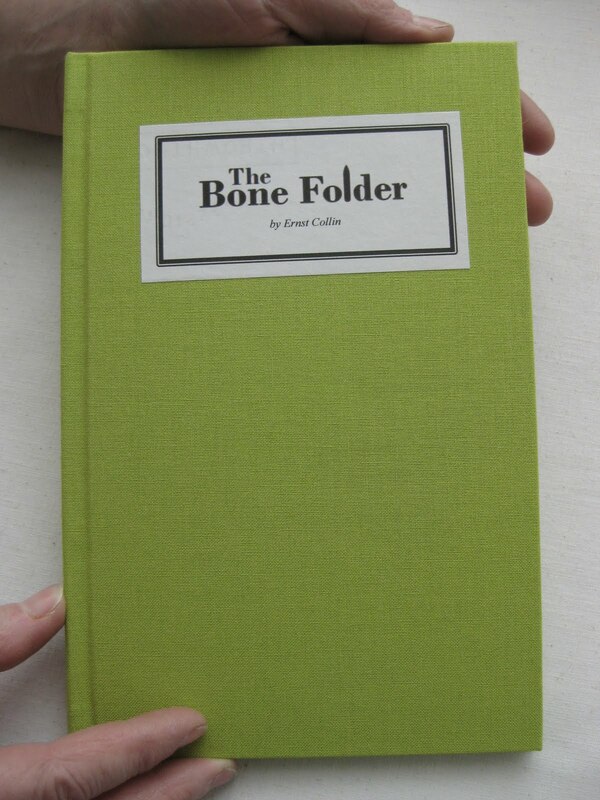 More about Susan at http://www.susanmillsartistbooks.com/.